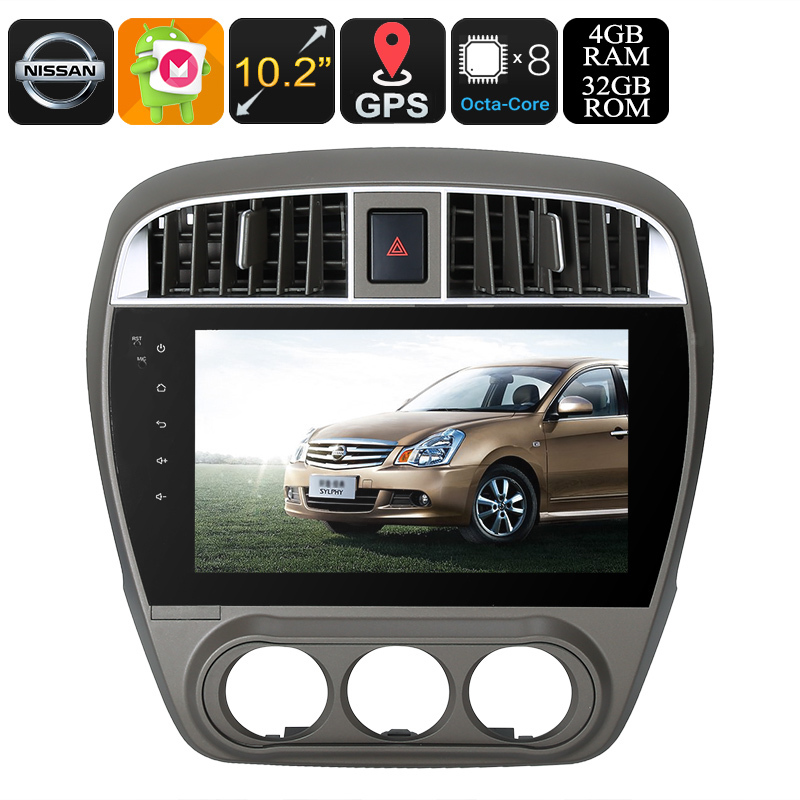 Successfully Added One DIN Android Media Player - Android 8.0.1, 10.2 Inch, For Nissan Cars, WiFi, CAN BUS, Octa-Core, 4GB RAM, GPS, HD Display to your Shopping Cart. If you own a Nissan car that has been produced between 2008 to 2011, this 1-DIN Android media player offers the perfect way to pimp up your ride. Thanks to its Android 8.0 OS, this car entertainment system brings along countless hours of entertainment. You’ll be able to entertain your passengers and make sure that nobody in your car will ever feel bored again. On its beautiful 10.2-Inch display, it allows your passengers to enjoy films in crisp 1024x600p resolution. It additionally accepts both WiFi and 3G dongle input. Thanks to this, you’ll be able to browse the web straight from your dashboard. If you’re looking for a car accessory to entertain your kids, this car media player is perfect for you. Besides offering plenty entertainment options, this Android media player supports a highly-accurate GPS system. With its 20 channels and built-in porcelain antenna, this GPS Navigator provides you with accurate readings of your location no matter where you’re at. From now on, you’ll always be able to find the fastest route to your upcoming destination. Simply upload the right Android map, and you can be guaranteed that you’ll never get lost again. By supporting a 64GB SD card slot, there will be plenty of space to insert all the maps and entertainment of your liking. This car entertainment system packs a powerful Octa-Core processor that has been clocked at 1.2GHz. Additionally, it comes with 4GB of RAM. Thanks to this sophisticated hardware, it lets you enjoy all the basic features Android has to offer without dropping a frame. Your Android media system is easy to install and use. It supports CAN BUS meaning that you’ll be able to control all its basic features such as volume adjustment straight via your steering wheel. For those of you that wish to enjoy your own music, it supports Bluetooth connectivity. This lets you sync your car media system with your Smartphone thanks to which you can enjoy all the songs in your music library in great quality through your car’s speakers. This One DIN Android media player comes with a 12 months warranty, brought to you by the leader in electronic devices as well as wholesale electronic gadgets..